Follows the story of three maids that have been through some hard times and, against the odds, band together to form a successful music group. The Life We Lead, about the touching story of two sisters, Ana and Manuela. The telenovela is about the love triangle between Ana, Rodrigo and Manuela, and family dramas lived by them after a tragic accident. With characters freely inspired in the universe of the English writer Jane Austen, the series is a romantic story that takes place in the fictional locality of Vale do Café, in the early twentieth century. 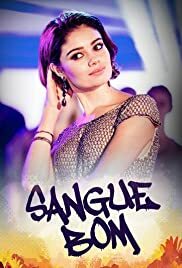 A romantic comedy about a robbery in a luxurious Rio de Janeiro hotel and the repercussions this event has on the lives of each person involved. A young woman want answers for her brother's kidnapping.